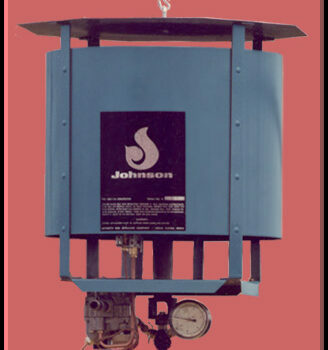 Handles a wide range of cycle operations, process timing, intermittent pumping. Two single pole, single throw switches; one normally open, one normally closed/ Up to 12 On-Off operations, each operation individually adjustable from 10-60 mins. duration on 24 hour dial. Supplied with 3 adjustable trippers. 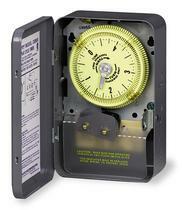 Permanently sealed and lubricated long life clock motor.Snap out mechanism with large, easy to read dial that turns in either direction for fast setting. Manual lever for momentary “On”. Rated 30 Amps per pole. 125V, 60Hz. UL List.